What is Nick Fury's approximate age at various story intervals in the MCU? I guess his exact birth date & age isn't important, but plus or minus a few years would be good to know. Given that the younger Nick Fury was shown in Captain Marvel and seemed to be more-or-less mid-career at that time, knowing his age would establish if we're likely to see even younger versions of him in action at SHIELD in future films. Or for that matter, what the extent of his career might be in the future, assuming (hoping?) that somehow the end of Avengers: Infinity War turns out to be impermanent. It also gives a sense of his physical capabilities (barring the superhuman). He is quite a commanding presence but that could mask some age-related limitations, for instance. Note - I'm not asking the same thing as Does Nick Fury age in the Marvel Cinematic Universe? ; that question is asking about whether he is aging physically, not how old he is in years since birth. We see this from this screenshot of his badge when he shows it to the officer at PEGASUS and gets the finger print on it. Note: The image isn't great quality so will add a better one when I can. That would put him as 44/45 during the events of Captain Marvel as that takes place in 1995. 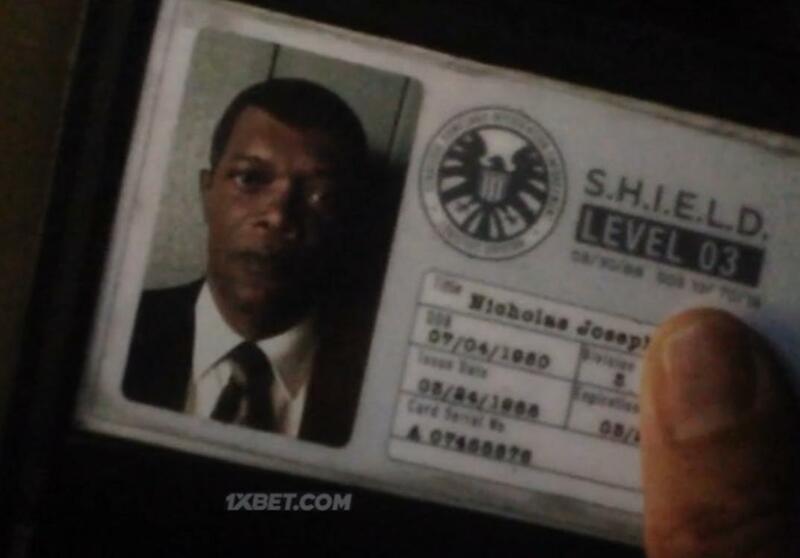 His birthdate and age are deliberately hidden in Captain America: The Winter Soldier according to Film School Rejects but this too is unsourced as to the reasons why. 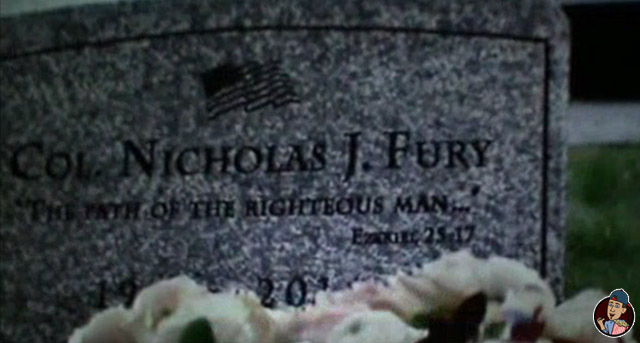 Because they couldn’t show Nick Fury’s birth and death dates on his tombstone, the directors needed to fill that space, so they chose the Ezekiel 25:17 quote from Pulp Fiction. Nicely done. Not the answer you're looking for? Browse other questions tagged marvel marvel-cinematic-universe nick-fury or ask your own question. Is Nick Fury now depicted as being Black & Bald outside the movie franchise?